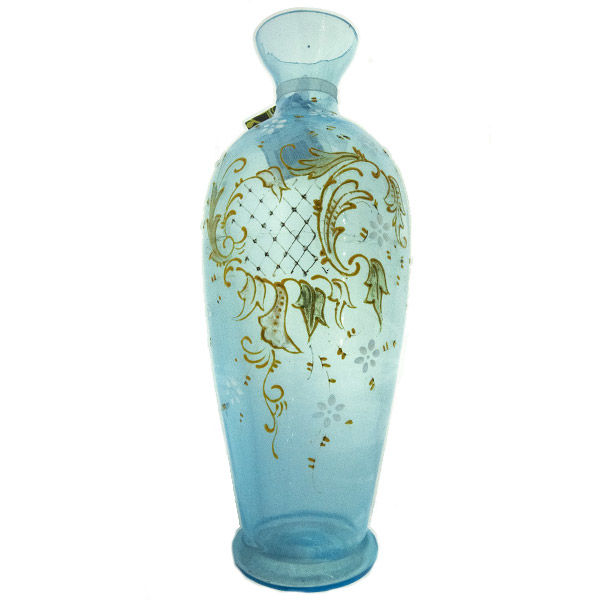 Gorgeous hand painted vase from the Victorian Era. 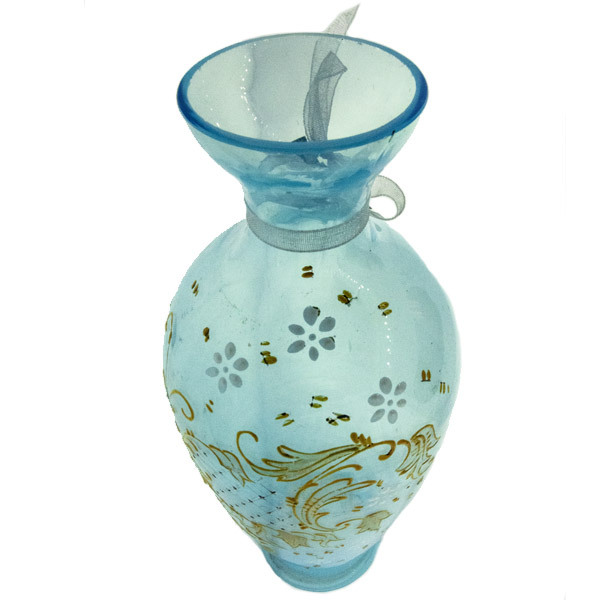 Beautiful transparent turquoise colored glass with a very detailed design. 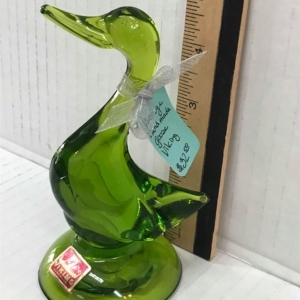 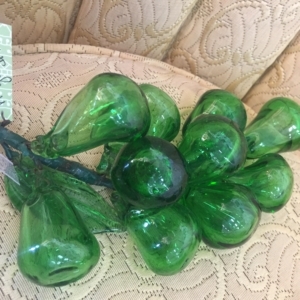 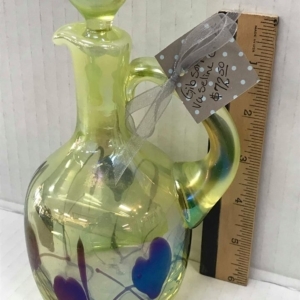 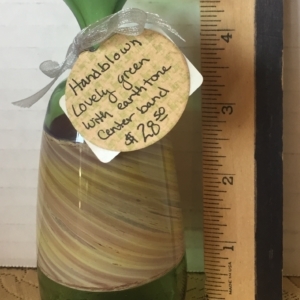 The vase is 9 ¼ inches tall.